While spontaneity is good, I also have a thing for establishing tradition (most of mine involve food, drink or travel.) For example, for the past several years, Kate comes up from Geneva for our annual Easter weekend visit. The itinerary always includes: indulgent restaurant meals, cocktail explorations, pampering pedicures, downtime with popcorn and scary movies, and a typical Easter Sunday lunch. Last year we added a new tradition to these long weekends: a swish pre-Easter lunch cocktail. For this one I thought: what better place to practice a new tradition than at a long-standing Paris institution? So, Kate and I stopped into the beautiful Bar 228 of the 200+ year old le Meurice Hotel. My last visit to the elegantly posh Meurice was a few years back for dinner with my good friends, Wendy and Dayne. But, this was my first visit to the bar area and – as might be expected at noon on Easter Sunday – we had the place to ourselves. Warm tones, dark wood accents, deep leather chairs, lovely lamps, and a hushed atmosphere recall a lux library worthy of elbow patches, cigars and cognac. But, there’s also a clean, updated feel (perhaps thanks to the Starck revamp in 2007?) that saves it from too-stuffy territory. Barstaff maintain the same level of polished, professional, perfected service found throughout the rest of the hotel and bring out bowls of nuts, olives and creamy, garlicky dip with delicate bread sticks while guests peruse the extensive cocktail menu. Clientele can choose from dozens of long and short classics, champagne cocktails and a smaller selection of house creations ranging in price from 24 – 28 Euros. Of particular note is the warm cocktail selection which seems especially appropriate in this cozy environment just perfect for escape from biting winter nights. I was initially confused by my martini and couldn’t guess which of their brands (Gordon’s, Tanqueray, Tanqueray Ten, Bombay Sapphire, Beefeater, Hendrick’s and Magellan) was used. I was getting conflicting messages from the flavor and what I perceived as a higher ABV than I would have expected. 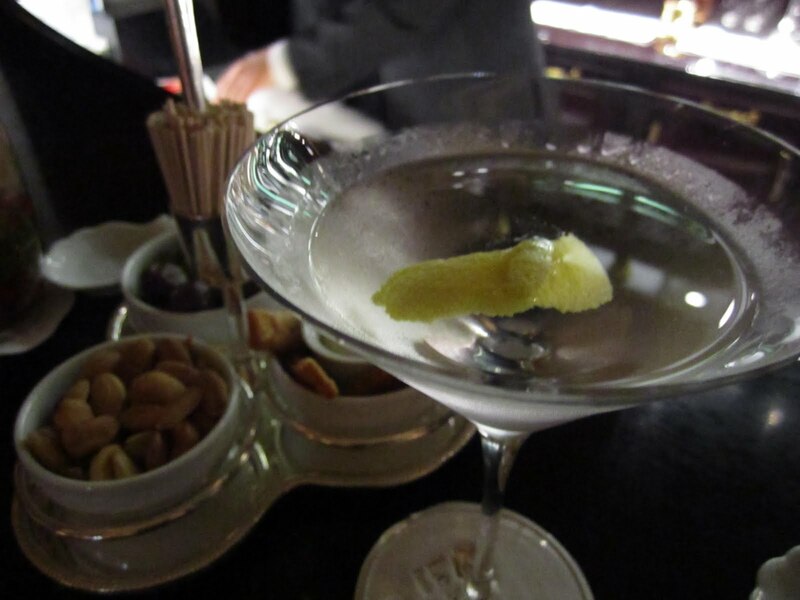 It happens that le Meurice serves their martinis the same way as a few other old school Parisian establishments: poured directly from a freezer-chilled bottle of gin rather than stirred or shaken with ice. According to the barman this ensured that “nothing was lost” and it also ensured that my Bombay Sapphire martini tasted stronger than it normally would to me. I personally feel that a bit of dilution is a good thing. Kate’s choice was a house creation with red fruit, that was refreshing and fruity without being too sweet. While the high-end hotel bars of Georges V, Royal Monceau or Park Hyatt might be better prepared for my personal cocktail preferences, there is no denying that le Meurice is a class act. This establishment excels in all the elegant extras one should expect from a five star. So I may not stop back in for a martini but I will definitely stop back in for a bit of traditionally posh pampering and further research. Excellent review! 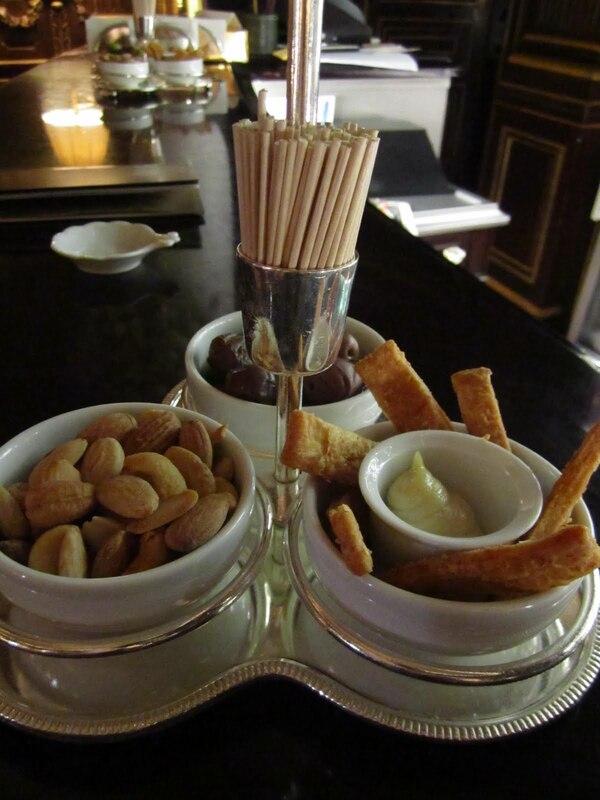 I'm eager to try it out, and I also have George V and the Park Hyatt on my "musts" list. Thank you for sharing! Milla: I think you're like it. Also, the GV and Park Hyatt have really sweet terrace space, too – good for nice weather! your kind of 'research' is the best kind of research. This post took me back! Our first trip to Paris together, we stayed at the Meurice where we got upgraded to a suite (quelle chance!) and the second time, we met friends there for cocktails. I'm sure it has changed since then but your great review makes me want to go back for a Martini! Vicki: it is a great hotel! Columbine: yes, I'd say that's class indeed. I also hear the bar is supposed to do a good cheeseburger, although I haven't tried it. They have a damn good club sandwich, too! Amy: I've keep hearing about the club there – I'm going to have to get in there to try it! let me know what you think, i did not think it was anything special, especially that i had a few weeks later one at Ladurée's and that was yummie. Columbine: I was just at the ZTH bar in london this weekend as well! When were you there? Maybe we were there on the same night! 🙂 I did like it a lot. 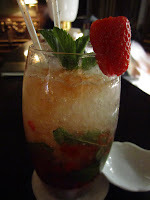 I've got a long list of fun cocktail bars in london – let me know if you want any recs next time you go over! actually come to think of it, i wasn't techincally there on the weekend – i was there on Thursday night, but anyway…very fun spot. We tried both the bar in the resto in front and then moved to the back ZTH bar. i was there on Thursday night as well, what a coincidence!